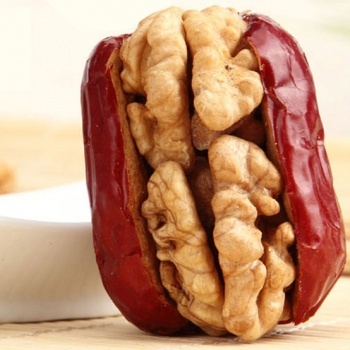 Chinese Xinjiang big red date and nutritious Walnut Kernel. Enjoy the flavor of the mix nut. Just the right amount of crunch. Ziziphin, a compound in the leaves of the jujube, suppresses the ability to perceive sweet taste.The fruit, being mucilaginous, is very soothing to the throat and decoctions of jujube have often been used in pharmacy to treat sore throats. 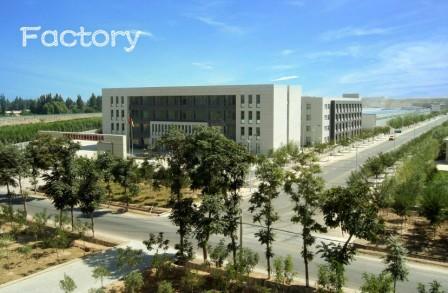 Ningxia Shun Yuan Tang Herbal Biotech Co., Ltd. was established in 2009. We are located in Xinshui Industrial Park, Zhongning County, Zhongwei City, Ningxia Hui Autonomous Region since 2014. In 2016, Ningxia Shun Yuan Tang has expanded and set up our Export office in Dalian City, Liaoning Province to enhance the commerce and service of our manufactured products to worldwide food industry customers. Ningxia Shun Yuan Tang has devoted to produce and supply premium quality agricultural products. In order to serve world market, the company is engaged to upgrade and modernize our manufacturing facilities and production line in response to evolve product quality and food safety requirement of our global customers. Looking for ideal Walnut in Dried Date Manufacturer & supplier ? We have a wide selection at great prices to help you get creative. All the Walnut Within Dried Jujube are quality guaranteed. We are China Origin Factory of Sweet Red Date With Walnut for Sale. If you have any question, please feel free to contact us.